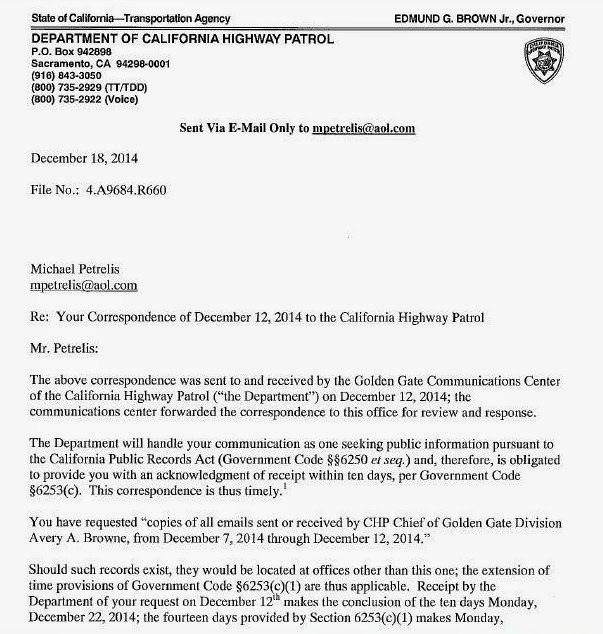 CHP's Berkeley Protest Emails to be Released January 5? The California Highway Patrol may need until January 5, 2015, before it potentially releases all emails sent or received by the Golden Gate Division Chief Avery Brown's addy and emails of the addy for the division's public information office during the recently Black Lives Matter protests in Berkeley. 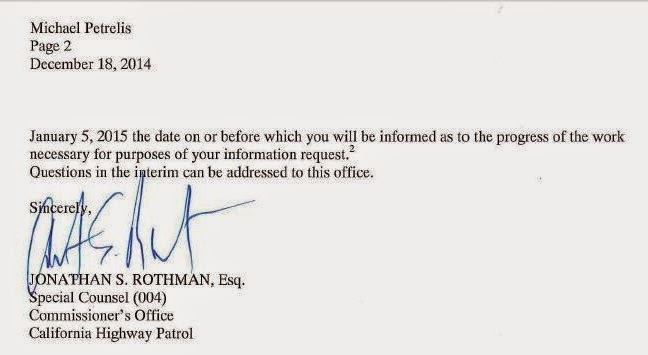 Yesterday, CHP special counsel Jonathan S. Rothman responded to my two public records requests for the emails. He said the agency is invoking its right to take 14 days to search and review the public documents in question, before responding to me and hopefully releasing the emails. 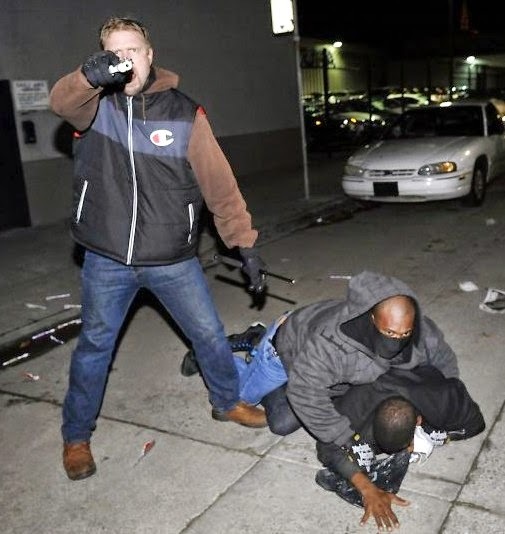 There was a lot of bad and possibly illegal policing taking place the week of December 7 in the East Bay on the part of the CHP, including putting armed undercover officers on the streets and not informing the local police departments about the officers. If the Golden Gate division chief Avery Brown, his superiors and colleagues, want to show citizen protesters, civil libertarians, California taxpayers and the media and blogosphere that they are serious about accountability and transparency, they'll waste no more time regarding my records requests.